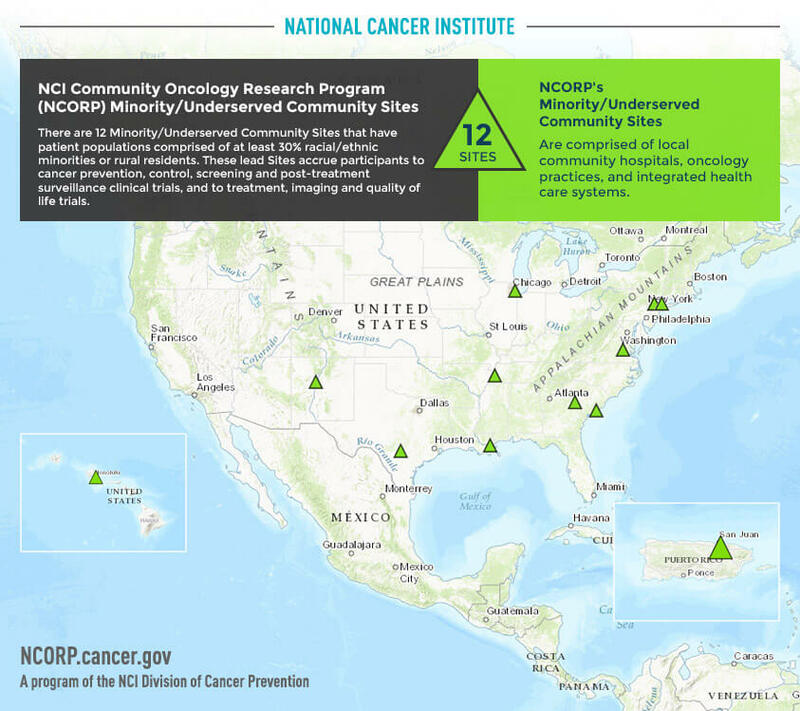 Infographic Description: NCI Community Oncology Research Program (NCORP) Minority/Underserved Community Sites. There are 12 Minority/Underserved Community Sites that have patient populations comprised of at least 30% racial/ethnic minorities or rural residents. These lead Sites accrue participants to cancer prevention, control, screening and post-treatment surveillance clinical trials, and to treatment, imaging and quality of life trials. NCORP's Minority/Underserved Community Sites - are comprised of local community hospitals, oncology practices, and integrated health care systems.